New Jewish town of 'Hiran' to be built on ruins of Arab Bedouin village in Israel's south; demolition to move forward despite court recognition residents are not illegal trespassers. The Israel Land Authority (ILA) has notified Israel’s Execution and Collection Authority (ECA) that the demolition of the Arab Bedouin village of Atir-Umm al-Hiran is slated to begin tomorrow, Tuesday, 22 November 2016. In response to a request filed by Adalah – The Legal Center for Arab Minority Rights in Israel seeking to freeze the demolition process, the ILA's legal representative responded, "the evacuation is set for 22 November 2016, this coming Tuesday." The ILA also announced it has hired a private contractor to carry out the demolition at the cost of NIS 119,000 (~US $30,760) (not including tax) and that "the costs of enlisting police officers, the as-of-yet-undetermined cost of bolstering forces, security, sealing of the perimeter, and coordination of vehicles for the purposes of arrests and curbing opposition must also be taken into account." Adalah responded to the ILA today, 21 November 2016: "In parallel to the Israeli government's efforts to legalize the Amona settlement in the West Bank – in direct violation of international law and Israeli Supreme Court rulings – the government is moving to demolish a village of Arab Bedouin citizens of the state, without offering them any suitable alternative housing. Even though the Supreme Court ruled that residents of Atir-Umm al-Hiran are neither illegal trespassers nor criminals, the state insists on demolishing the village as the sole option." In 2015, after a 13-year legal battle, the Israeli Supreme Court decided by a 2-1 majority to authorize the state's plan to demolish Atir-Umm al-Hiran and forcibly displace its approximately 1,000 residents for the sole purpose of establishing a new Jewish town named "Hiran" over its ruins. Earlier this year, the Court rejected Adalah's request to re-consider this judgment and to hold a second hearing on the case. 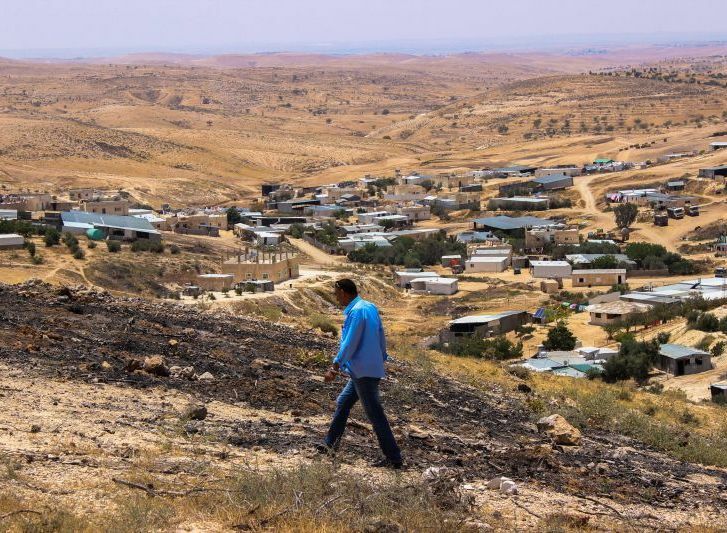 The case of Atir-Umm al-Hiran is a clear example of dispossession and displacement for strictly racial reasons;the only reason the village is being demolished is to allow the state to establish of a new Jewish town with accompanying range of land. The state initially expelled residents of present-day Atir-Umm al-Hiran from their original lands in the village of Khirbet Zubaleh by military order in 1956. The Court has recognized that residents, members of the Abu al-Qi’an Bedouin tribe, were not illegal trespassers – as initially claimed by the state – but were indeed moved there by the state. Nonetheless, the Supreme Court ruled that, because the village residents are on "state land," the state could retake it and do with it as they wished. The Court did not question why the new Jewish town had to replace the Arab village, when there exists vast and empty lands in the surrounding area. The Court also ignored the Bedouin residents’ political, social and historical roots to the land.